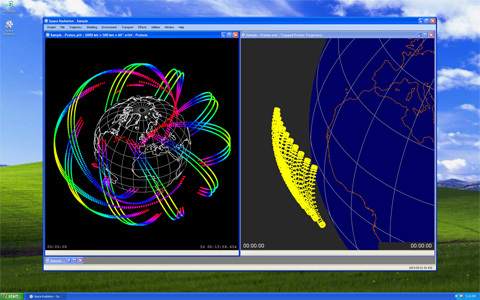 Space Radiation was designed and coded on Windows XP and Windows 7. It has been tested on all recent Windows desktop systems. 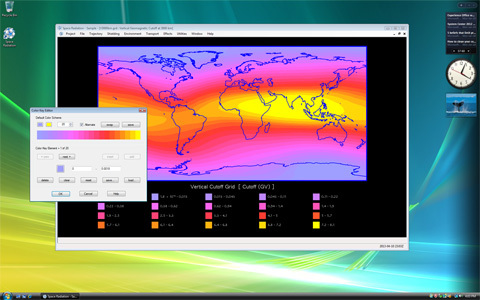 Space Radiation will not run and is not supported on Windows RT and other ARM tablet and smart phone operating systems, or Windows 2000/NT/ME/98/95 and older desktop operating systems. Space Radiation ships with both 32-bit and 64-bit versions of the executables and DLLs. The installer automatically detects the word length and installs the appropriate version. The 64-bit version is always installed on a 64-bit machine. The 32-bit and 64-bit versions are compiled from the same source code and are essentially identical. We have not done any formal performance comparisons on the two versions; however, we found that graphics performance on a 64-bit machine was about 30% faster running in native 64-bit mode as opposed to WoW64 (Windows 32-bit executable on Windows 64-bit machine). Space Radiation installs and runs on both Standard and Administrator accounts. Installations for all users on a machine must be performed from an Administrator account. Space Radiation also installs and runs on Windows XP Power User accounts. Guest accounts are not supported. Required libraries change the operating system configuration for all users and therefore require Administrator privileges to install. 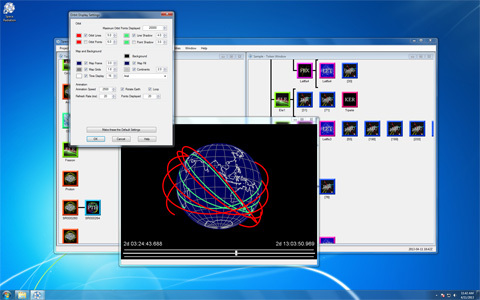 Space Radiation installs and runs at any of the four User Account Control (UAC) settings. Space Radiation must be run at full trust level as is usual for local desktop applications. Maximum trust is required because the software executes local processes, uses a small number of unmanaged functions, and accesses a local database file system installed with the software. If the user has access to a network and sufficient permissions, Space Radiation projects (data files) can be created remotely. Should you require additional information, please contact us. If Space Radiation is installed on a user account with parental controls enabled it may not run. Should you encounter such a problem, please contact your parents. Space Radiation requires the following libraries. Library installation requires Administrator privileges. Microsoft .NET Framework 4 is not shipped with Space Radiation. Precise system requirements for .NET 4 may be found here. Note that there are two versions of .NET 4: "Client Profile" and "Full Installation". The Space Radiation self-extractor and installer requires only the Client Profile. 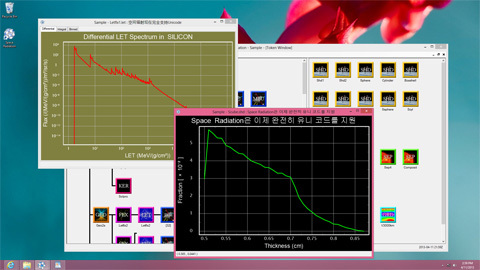 The Space Radiation software itself requires the Full Installation. On Windows 8 .NET 4 is pre-installed. 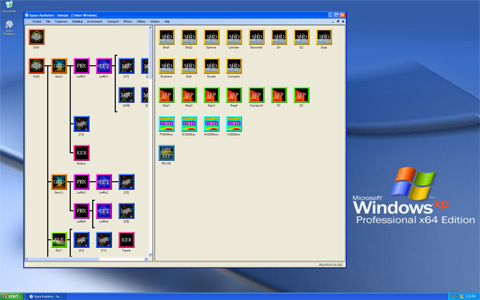 On Windows XP, Vista, and 7, .NET 4 is available as a free download from Microsoft. You can get either the web installer or the standalone installer. Windows 7 may also prompt you when .NET 4 is required and offer to download automatically. The Space Radiation installer offers to install this runtime library when it isn't found on your system. If you would like to download and install the Visual C++ Redistributable yourself, select either the 32-bit version or the 64-bit version according to your system specification. Operation of Space Radiation requires a hardware key or dongle. The dongle installs easily in any (full-sized) USB port. The new dongle model is driverless and requires no special installation.